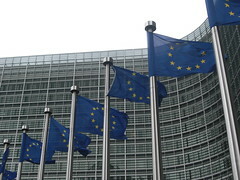 The April edition of the EPC Newsletter published quarterly by the European Payments Council, and covering the latest developments in the Single Euro Payments Area – SEPA, is focused upon a recent published proposal from The European Commission for a regulation establishing technical requirements for credit transfers and direct debits in euros. The European Commission proposal defines technical requirements applicable to euro credit transfers and direct debits. The European Commission seeks broad executive powers to legally change these requirements through so called ‘delegated acts’. The European Payments Council recommends excluding such executive powers of the European Commission from the SEPA Regulation. The European Payments Council welcomes that the legislator considers including at least the obligation for the European Commission to consult and concur with stakeholders on amendments of the technical requirments. The European Commission proposal allows – theoretically – for multiple SEPA payment schemes, and requests that such payment schemes should be ‘interoperable’. The European Payments Council clarified that this ‘interoperability’ obligation would counteract the SEPA objective of market integration. The European Payments Council welcomes that the legislator indicated to delete this ‘interoperability’ obligation from the European Commission proposal for a SEPA Regulation. The European Payments Council welcomes that the legislator indicated to exclude large value payment systems from the scope of the SEPA Regulation and proposes to delete Article 6 on interchange fees for direct debit transactions from the European Commission proposal for a SEPA Regulation. The arguments supporting this position are detailed in the article of the EPC Chairman Gerard Hartsink on the SEPA Regulation. Two additional articles highlight the dialogue between Europe and the United States on the European Payments Council resolution ‘Preventing Card Fraud in a Mature EMV Environment’. This resolution seeks to limit the potential impact of an incomplete migration to chip and personal identification number technology outside SEPA based on the EMV chip-only option. This newsletter kicks off a series covering aspects of the SEPA Direct Debit payment schemes relevant in particular to bank customers such as businesses and public administrations. The first article addresses the requirements of the SEPA Direct Debit mandate. The mandate is the authorisation underlying a direct debit collection. The newsletter now features a series reporting on the SEPA experience of bank customers. The article on the SEPA migration project of the Social Insurance Institution of Finland identifies best practices and lessons learnt. Stakeholders are invited to provide comments on the European Payments Council’s Mobile Contactless SEPA Card Payments Interoperability Implementation Guidelines. These draft guidelines will be released for public consultation on the EPC Website at the end of April 2011. The European Payments Council Newsletter is available on the EPC website at www.epc-cep.eu.